This long hooded cloak is made from a color velvet material and then entirely lined in color satin, Fit for everyone, man and woman. Boys and girls. including the hood. It has shaped shoulders and closes in front with a long tie made from the same black velvet material as the body of the cloak. 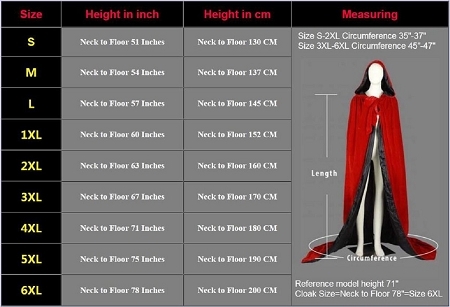 The cloak lining is fully attached along the front seams and at the bottom hem and neckline.